Get a quote from LV= Car Insurance. Find out if LV= Car Insurance made it into our list of the best car insurance companies. What types of car insurance does LV= offer? What optional extras are available from LV= car insurance? How much does car insurance from LV= cost? Are discounts available for LV= car insurance? How to make a claim on LV= car insurance? Third Party Only - covers you for damage or injury to other people and their property only. Third Party, Fire and Theft – cover for damage or injury to other people and their property, plus damage to your vehicle by fire and theft only. Comprehensive Insurance – includes an uninsured driver promise (no loss of No Claims Discount and no excess to pay if an accident is caused by an uninsured driver), misfuelling cover, new-for-old car replacement (if your car is less than 12 months old), £10,000 personal accident cover (for you and your partner), child seat replacement, £200 for personal belongings, five-year guarantee on repairs, in-car equipment cover, replacement key cover and European car insurance cover available at no extra cost. LV= also offers specialist cover for classic cars, which includes £100,000 for motor legal expenses, and over-50s cover (with no upper age limit). Get a personalised quote from LV= Car Insurance on their website. See how LV= compares to other providers in our list of the best car insurance companies. For an extra premium, LV= car insurance customers can get motor legal expenses up to £100,000, guaranteed courtesy car cover, increased personal accident cover up to £100,000, breakdown cover and No Claims Discount protection for the life of the policy (for drivers who have earned four or more years of NCD). The cost of car insurance varies according to many different factors, including the make and model of the vehicle, what it’s used for and the driver’s personal details, such as age, profession and address. On their own website, LV= have customer reviews verified by Reevoo. Their car insurance service is rated as 9 out of 10, based on over 68,000 reviews. On Reviewcentre.com, LV= car insurance scores 3.5 out of 5 stars, based on 603 reviews. 68.2% of customers would recommend the service. On Trustpilot, LV= has a score of 3.4 out of 10 based on 100 reviews. On Reviews.co.uk, LV= scores 4.5 out of 5 stars, based on over 140 reviews. Independent financial researcher Defaqto rated LV=’s comprehensive car insurance policy as 5 Star (the company’s breakdown cover also received a 5 Star rating). For windscreen or glass claim, contact Autoglass through LV=’s claim section or by calling Autoglass directly on 0800 032 9075. For all other claims, call LV=’s 24/7 claim line on 0800 032 2577 (or +44 1689 898 603 from abroad). You will need your registration number or policy number when calling. 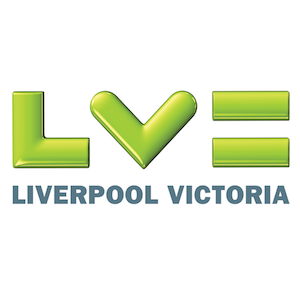 If you are reporting a theft, you will need to get a crime reference number from the police before calling LV=. LV= will then make the necessary checks, including with other insurance companies if the incident involved other people or vehicles, and will get back to you asap. LV= offer a range of insurance products, including caravan, motorbike, home, contents, travel, landlord, pet, life and Over-50s life insurance. Get a quote from LV= here or check out our guide to the top car insurance policies.